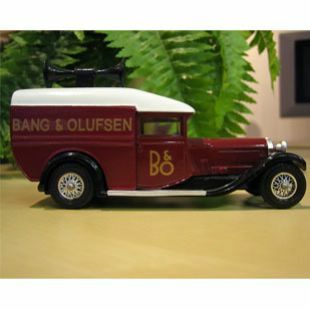 Matchbox "Models of Yesteryear" Code 3 Bugatti Type 44 Delivery Van branded with the Bang & Olufsen logo. 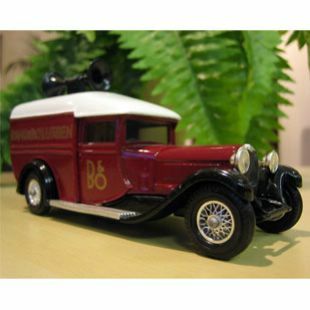 The Matchbox Code is Y24 and these toy vans are quite rare, often fetching fairly large amounts on ebay. 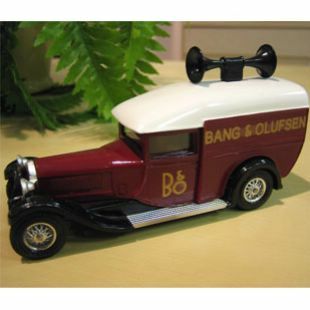 Rumour is that Matchbox used a standard Bugatti toy car model and 'grafted' a box on the back, adorning it with Bang & Olufsen decals. 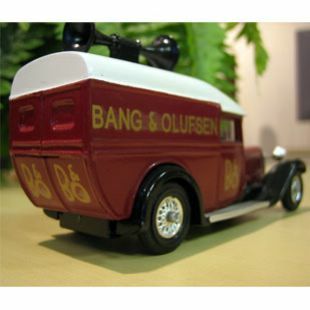 One for the display cabinet.